Let's travel to the Southern regions of Italy and discover the ancient Mediterranean influences in food and culture. Come join us for this once-in-a-lifetime experience. This well managed tour gives you the perfect balance of guided tours with plenty of free time to explore on your own yet traveling in the safety of a group. Day 2 - Land into the beautiful ancient city of Rome. Our chauffeur will meet us at the airport and give us a city tour. We will check in to our hotel and have some time to refresh or explore before a Welcome Dinner as we begin our journey. Day 3 - We awake to breakfast in Rome. We will enjoy a full city tour with our chauffeur to see all of the famous sites and get your bearing of the city. Enjoy lunch on your own then perhaps take an optional tour of Treasures of the Vatican Museum, home to the world's most extensive collections of art including Michelangelo's Sistine Chapel. Within a short distance you can also visit St. Peter's Basilica, the Colosseum, the Arch of Constantine, Circus Maximus, Piazza Venezia & the Roman Forum. Day 4 - This is a free day in Rome. On your own you can visit The Pantheon, The Vatican Gardens, Castel Sant'Angelo and/or Palatine Hill. Or simply shop and enjoy Rome. 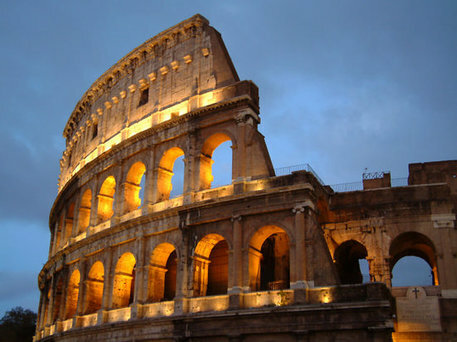 Day 5 - We will bid farewell to Rome with breakfast and meet our chauffeur and head to Naples. Along the way we will explore the haunting ruins of Pompeii. The displays take you back to the tragic day in 79 AD when neighboring Mt. Vesuvius erupted, covering the prosperous Roman city in deadly volcanic ash. You will see the Forum, the Themal Baths, Vetti's House and the "Lupanare" brothel, all buried by volcanic ashes during the eruption. By the end of the day, we will find ourselves in Naples. Day 6 - After breakfast in Naples, we have a free day in the beautiful city. We will gather for a group dinner in the evening. Day 7 & 8 - We will start off on with a city tour to see the sites as a group, then have plenty of time to experience Reggio di Calabria as you want. Perhaps a day at the beach beside the crystal blue waters. Or shopping the village for Italian treasures. Reconnecting with Italian family. Visiting museums and historic sites. Day 9 - After breakfast today, we travel across the Strait of Messina to Sicily. We will spend the day touring the island focusing on the Castelvetrano and Selinunte areas. Day 10 & 11 Days in Sicily. Pick your own adventure. Optional ground tours available or just soak in the Mediterranean sun. A group dinner on the last night. Day 12 - Fly home from Sicily then Rome.